In 1987, Chrysler corporation introduced the first Jeep Wrangler to the world as a direct descendant of the AMC Willy’s MB and the Jeep CJ from the mid 1940’s. The Jeep Wrangler is an American icon that stands as an expression of freedom, a symbol of duty, and a means of unifying millions of off road enthusiasts around the globe with its world renowned off-road capabilities. Northern Nevada is truly a Jeep paradise. It’s a rare occurrence for drivers not to encounter a Jeep Wrangler on the road, and once you’ve experienced what they can do, you might end up in one yourself! I became a Jeep owner in December 2016, when I Purchased a 2-door 2007 Jeep Wrangler. The wrangler JK is an aftermarket monster. The modifications available are nearly limitless. You can build a jeep that tackles trails, all the way up to a full blown rock crawler. To get the most out of your jeep as well as add your own personal flare to it, mods are a must. Installed on my 2007 Wrangler are a few mods that are a great starting point for anyone serious about off-roading. First installed was a 3” Skyjacker lift. Suspension lifts provides excellent clearance over rocks, plants, water and other obstacles. 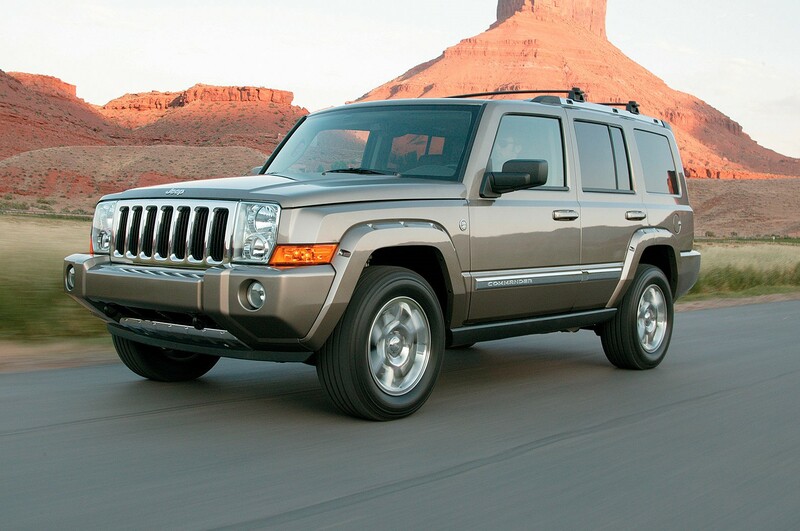 A lift also enhances the break over, approach, and departure angles on your Jeep. Lets not forget, no lift would be complete without off-road tires and wheels. There are many brands and types to choose from. 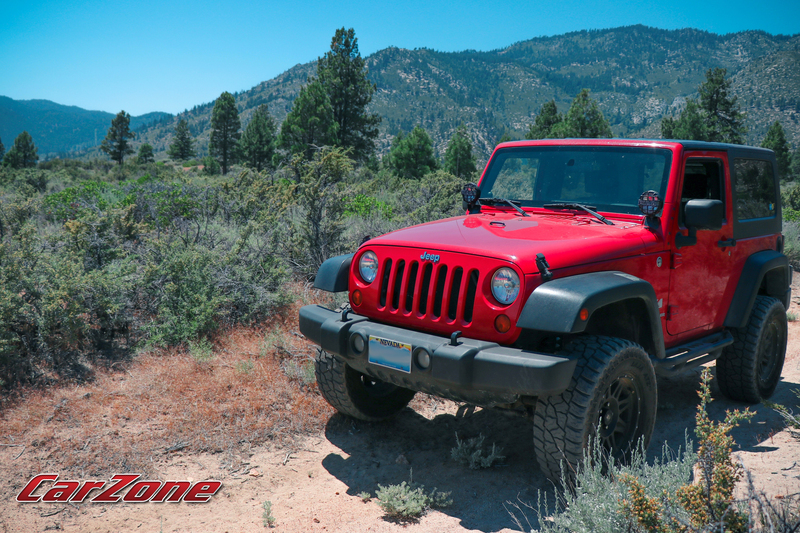 If you plan on daily driving your wrangler while still being able to dominate the trail, you’ll want a nice hybrid type tire. Installed on my jeep is a set of 33” Mickey Thompson Baja ATZp3 tires. They are mud and snow rated and provide unparalleled performance in all off-road situations, as well as being engineered for excellent highway/city driving. They ride smooth and are considerably more quiet than other off-road tires. The tread wear is very slow, providing you with a quality tire that you can count on for many miles on and off road. These tires are paired with a set of 17” Pro-Comp Alloy wheels. When riding on a bigger tire, less wheel means more grip, cushion, and flex in the tire while off-road. Besides being lightweight, the black wheels also provide a more aggressive look to the Jeep. With a lift, wheels, and tires in place, one more crucial upgrade that needed to be made was shocks. Most lift kits come with shocks, but by default they aren’t usually the best and will need to be upgraded. For my Jeep I’ve opted for as set of Bilstein 5100 Series shocks. These are solid high performance shocks. They feature a brushed aluminum finish, a monotube construction and are gas charged. In conjunction with other mods, these shocks will increase vehicle control in all driving situations. In the short time I’ve owned my Wrangler it’s been put to the test and successfully navigated through intense mud ruts, rock canyons, extreme vertical hill climbs, deep snow, water, and sand dunes. While I’m able to go many places thanks to these mods, there are still plenty of off-road challenges to face that will require many more mods to allow my wrangler to conquer them. The front and rear bumper come in plastic stock and can be easily scratched and dented by rocks, tree limbs, or even other drivers. Steel front and rear bumpers are the way to go, as they will help you plow through most anything without damage. There is a wide variety of styles to choose from. One style is a short width, or “Stubby” front bumper with a stinger recovery bar, like this one made by Red Rock 4X4. Besides being slightly lighter than a full width bumper, it can also provide more clearance for larger wheel/tire options, while maintaining the ability to be outfitted with a winch and recovery bull bar or stinger, such as this one made by Barricade. I’d say the short width style is the more popular option among off-road enthusiasts, and probably the look I’m leaning toward for my jeep. The full width bumper provides more protection when navigating through rocks and vegetation, and also has room for you to keep the stock fog lights installed. Rear bumpers are mostly full width and can include a spare tire carrier, which eliminates the vibration of the stock spare tire carrier when off road. I’ll be going for a simple steel rear bumper with a tire carrier, here's one made by Barricade. Much like the front, there are many options that provide more functionality such as a rear winch mount or rear LED lights. Eliminating plastic trim is a must. Once you’ve replaced the front and rear bumper you’ll want to replace those plastic fender flares as well. Over time they will fade tremendously, and are also prone to scratching and denting from off-road obstacles and debris. Steel fender flares are the next step in upgrading the look of your jeep, as well as adding a bit more protection from damage. Here's a set from DV-8 Off-Road. The last couple mods are absolute musts for extreme situations. First is an LED light bar. 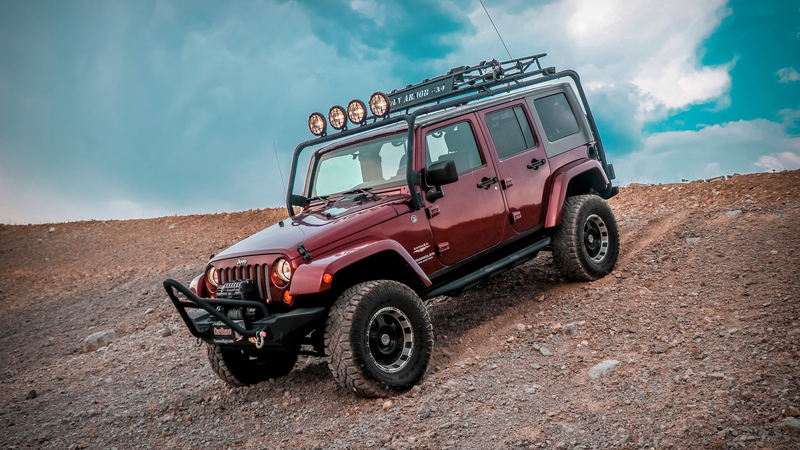 While there are many configurations for light setups, from bumper to hood mounts, the 50” light bar mounted above the windshield is the most popular and effective option, especially when paired with pillar mounted lights. Check out this combo by Raxiom. Night time off-roading will essentially become daytime, increasing visibility for obstacles you may not have seen as soon without additional lights. Last but not least, one of the most important tools to have off-road is a capable winch. When trail riding alone or with others in the mud, snow, or tricky situations, a winch is your ticket to freedom when you’re stuck in a rut or need an extra push (or pull). Winches are available with pulling capabilities from 8000lb-15000lbs, but it is recommended that you know the weight of your Jeep, and get a winch that is capable up to 50% over your vehicles weight for maximum effectiveness. 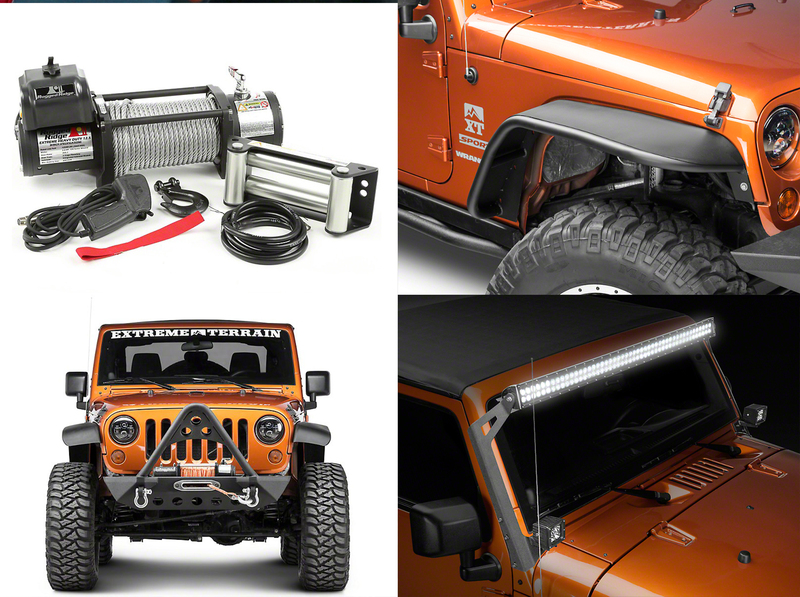 Here's a winch from top brand Rugged-Ridge. Having said everything about these Jeep Mods, from the basic suspension mods to essential exterior mods, here are the links to my choice in most of the parts I had mentioned. If you’re planning on getting a Jeep, I hope this blog has informed and inspired you to build the Jeep of your dreams, or at least get it off to a good start! Hope to see you on the trail! In the automobile industry in house financing is commonly referred to as a Buy Here Pay Here program. Instead of having a bank or credit union extending credit to automobile purchasers like yourself CarZone steps up and finances your car purchase right out of our own pocket. This program is typically reserved for people with not so good credit looking to improve their credit score. The good news is we specialize in helping people get financed and start building credit. Traditional credit unions or finance companies may not qualify you for a loan. You can be denied based on your credit history, low credit score, irregular income, job stability, and so on. If a bank sees the likelihood that at some point you may not be able to repay your loan, you might be denied. But since CarZone is financing your purchase the chances of you getting approved are very good. If you have poor credit, and you need a car to get around, you’re going to have to consider alternative loan options. In house financing can be the solution you’ve been looking for. We understand your situation! And we’re willing to work with you! Even with less than stellar credit we’ll work hard to get you in the vehicle you want. You can get everything done right here. Not only will you be buying a vehicle from us, but you’ll be making your payments right here. 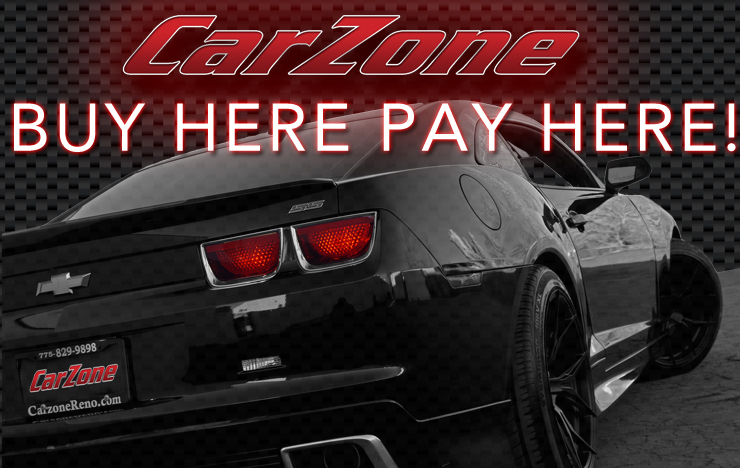 When you finance with CarZone you’ll have the ability to purchase and setup manageable payments all at the same place. You’ll work closely with one of our finance managers to make sure your monthly payment is something to fit within your budget. For more information please contact one of our Internet Directors today! When the black of the pavement gets covered in snow, and your daily drive turns into an off-road adventure course, we’ve got our Top 5 picks for vehicles to help you survive Reno weather. This compact pickup was born to run in Northern Nevada. When considering power and handling, many thought the base four cylinder output of 159 horsepower had satisfactory performance, but the is V6 model where she really shines. Yes, like any four cylinder you can save on gas when compared to V6, but with 236 horsepower the V6 4.0L engine feels the most capable inside this off-road warrior. We prefer the Double Cab vs the Regular Cab. With comfortable room for up to 5 passengers, the backseat becomes much more spacious. You’ll find the best factory off-road performance available in the TRD Off-Road Package, boasting features like a Six Speed Manual Transmission, Down Hill Acceleration Control (DAC), Hill Assist Control (HAC) and Differential Lock. Having an AWD or 4 Wheel Drive (4WD) in Reno can really be a game changer when push comes to shove around here. 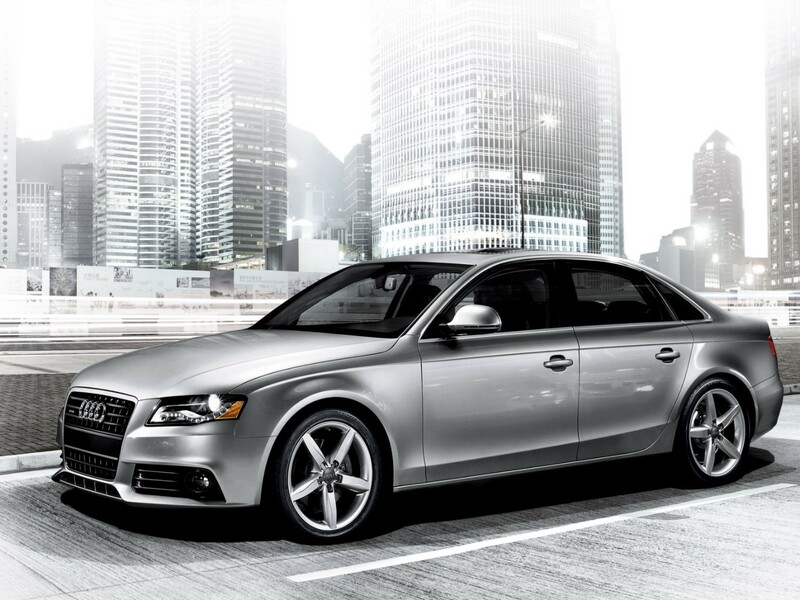 That’s why the 2010 Audi A4 made number two on our list. This luxury sedan has the fitted interior styling you’d expect from Audi combined with a subtle yet sporty exterior body. Adverse conditions will no longer be in your way with the equipped Quattro drive system. Check out YouTube to see a video of a Quattro drive Audi mowing through 12 inches of freshly fallen snow. The only draw back we found was the low ground clearance of only 4.1 inches. With the undeceive nature of Reno weather, you’ll find the versatility of this sedan to be most enjoyable. When the snow melts you'll have 211 horsepower, 5300 rpm turbocharged engine to help make your morning commute a breeze. You see these all over town. From Sparks to Incline Village, this Subaru model isn’t popular just for how pretty it is. Believe me, it won’t matter if you’re loading up for that weekend camping trip or going down the street to pick up fresh groceries this SUV is the right tool for the job. With 8.7 inches of ground clearance you’ll have more confidence when navigating down the snowy mountain roads of Lake Tahoe. 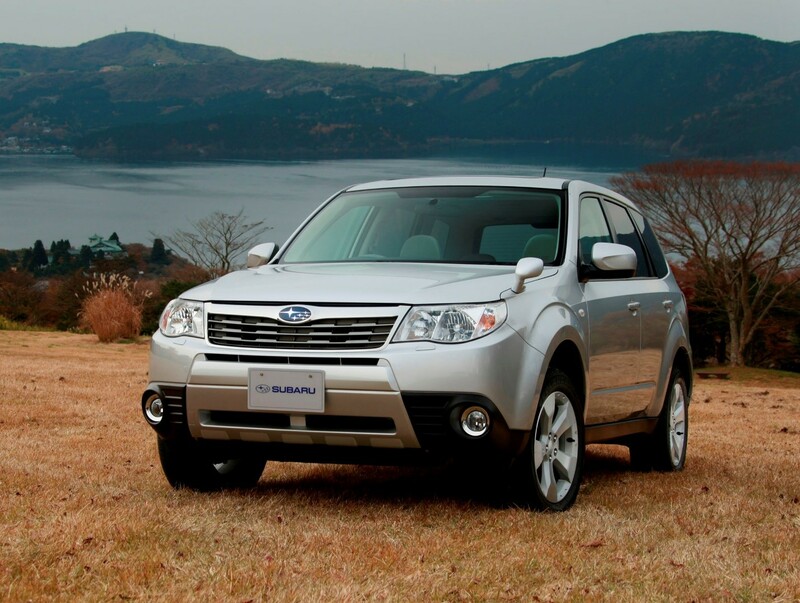 All Subaru vehicles sold in the US come equipped with Symmetrical All Wheel Drive (AWD). What does this mean for you? 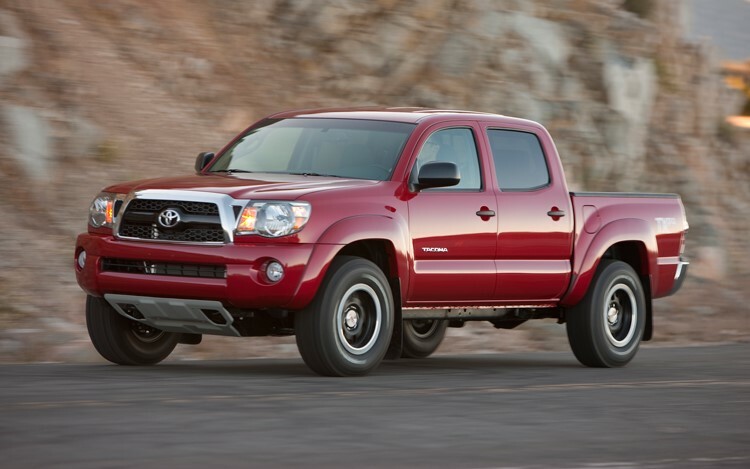 You’ll have better traction, stability, and control all while getting the maximum fuel economy. With a boxy exterior styling reminiscent of the beloved Classic Cherokee and enough room for the whole family, Jeep shows us another level of rugged SUV. Back in 2006 TopSpeed did an article on the Commander saying, “Quadra-Drive II is one of the most advanced four-wheel-drive transfer case systems available..” Fast forward to 2017 and we still agree. In our drive up Mount Rose this winter we found the tractive capability to be on point, even in some of the worst weather conditions. One notable feature of the Commander has to be the Electronic Stability Program (ESP). Doesn’t matter what road or off-road surface you’re driving on, because of sensors equipped throughout the SUV, the (ESP) helps aid you when figuring out how much throttle and brake corrections must be made to keep you going exactly where you want to go. 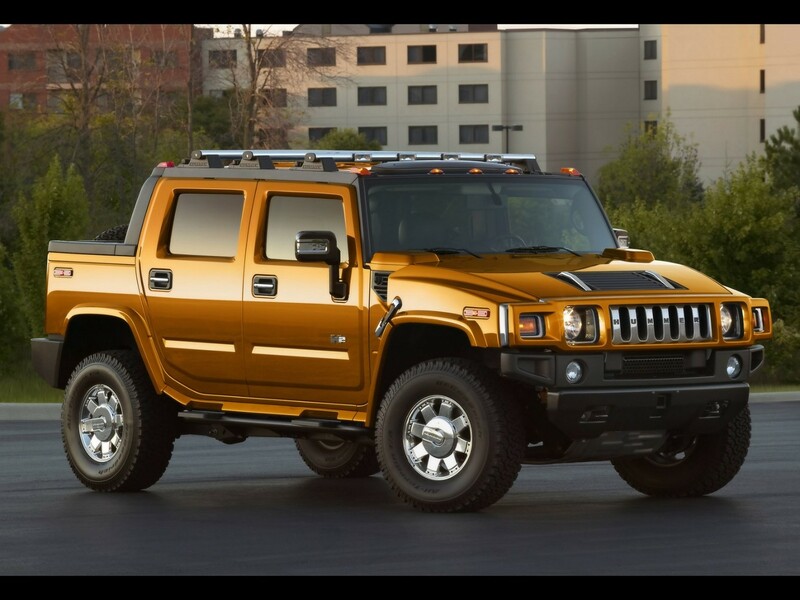 Our favorite Hummer has to be the Sport Utility Truck (SUT). We love the extra cargo space of the bed and folding Midgate. Just like a Chevy Avalanche or GMC Envoy XUV, once you bring down the power-operated rear window the load floor almost doubles. Instead of just 47.3 inches you get 72.8 inches to load all your goodies. For us it had the perfect amount of space to pack our grill and cooler for a Wolfpack Tailgate. It’s a little bigger and less agile than the rest on our list, but with a full time 4WD system and 9.9 inches of ground clearance we’ve never had a problem driving through snowy or icy conditions. If you need any extra convincing, check out this Hummer H2 on YouTube plowing its way through snow. Well that wraps things up with this weeks Top 5. See you later for another edition of CarZone Reno Blogs.